Glenn Greenwald of the Intercept, formerly of The Guardian newspaper, laid out in an interview with Slate magazine that the media in the United States has decided to band together in a last-ditch effort to stop the rise of 2016 GOP presidential nominee Donald J. Trump. 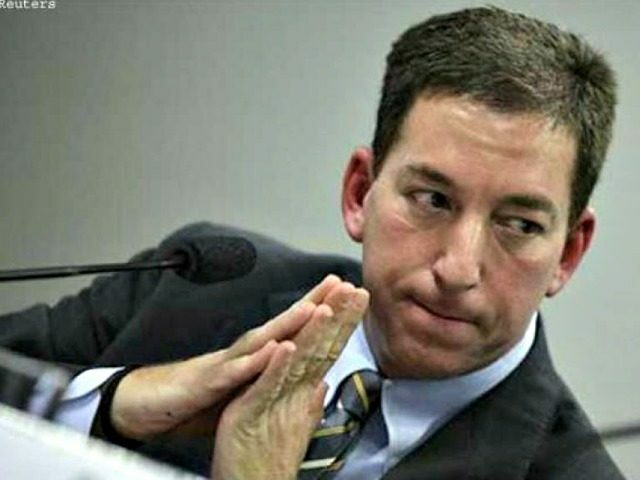 Greenwald, the progressive journalist who broke the Edward Snowden mass government surveillance storyline, was asked what he thought about Donald Trump’s press conference recently in which Trump joked that Russia should release any emails it has from 2016 Democratic presidential nominee Hillary Rodham Clinton’s illicit private home-brew email server from her time as President Barack Obama’s Secretary of State. “What did you think of Trump’s press conference? You’ve gone after people who you thought were smearing those denying a Trump-Russia connection, and you’ve used the word McCarthyite to describe them. But now Trump has encouraged the Russians to find or release more Hillary Clinton emails,” Slate asked Greenwald. So, literally, the lead story in the New York Times today suggests, and other people have similarly suggested it, that Trump was literally putting in a request to Putin for the Russians to cyberattack the FBI, the United States government, or get Hillary Clinton’s emails. That is such unmitigated bullsh*t. What that was was an offhanded, trolling comment designed to make some kind of snide reference to the need to find Hillary’s emails. He wasn’t directing the Russians, in some genuine, literal way, to go on some cybermission to find Hillary’s emails. If he wanted to request the Russians to do that, why would he do it in some offhanded way in a press conference? It was a stupid, reckless comment that he made elevated into treason. Greenwald said most people supporting Donald Trump for president won’t care about the media spin against him on this front.